Today Russian Northern Fleet Borey-class SSBN Yuriy Dolgorukiy (K-535) salvo-fired four Bulava (RSM-56 / SS-N-32) SLBMs while submerged in the White Sea. 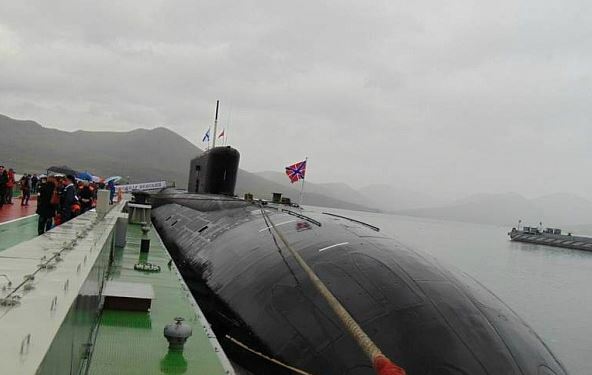 According to RIA Novosti, the fleet press-service said the “established missions were completely fulfilled.” The press-service continued saying, the “tactical-technical characteristics and reliability [of the submarine and missiles] were confirmed.” It added this was the first time a Borey-class SSBN salvo-fired so many SLBMs. The launches come at the end of the video (5:37). The first looks normal. The second, however, not so much. The missile looks a bit like it’s going to heel over before the engine kicks on. Perhaps that’s normal. But what appear to be the third and fourth launches look to the naked eye like a replay of the first and second. 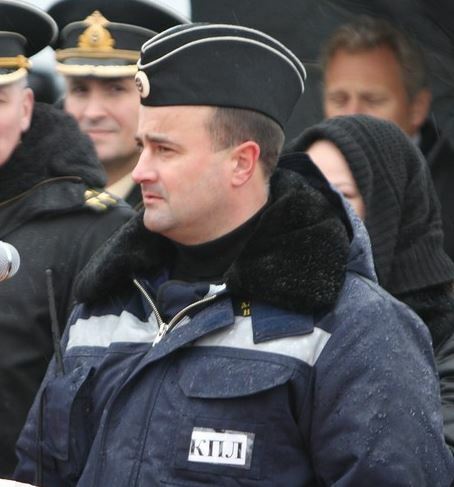 Were there four missiles fired by Yuriy Dolgorukiy, or two? No surprise but the video isn’t convincing. Presumably DEFSMAC, DOD, and the U.S. Navy know for sure. Maybe they’ll inform John Q. Public. Recall Bulava had its share of developmental troubles. 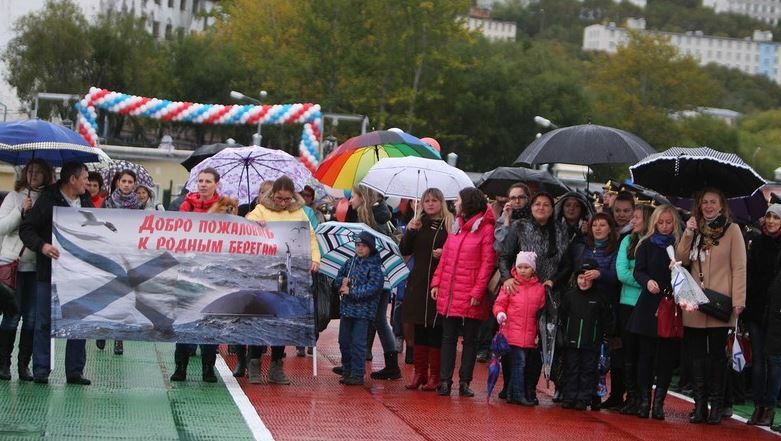 Dolgorukiy salvo-fired two SLBMs in late September 2016; one launch was successful but the other missile self-destructed. The salvo-firing has been a program milestone since 2011. This all remains a far cry from operation “Hippopotаmus-2” when Delta IV-class SSBN Novomoskovsk (K-407) fired all 16 Shtil (RSM-54 / SS-N-23) SLBMs in a single salvo on August 6, 1991. But the circumstances were somewhat different. Both the boat and the missiles were very well tested by then. Rakhmanov reportedly told the official news agency that the schedule for launching Knyaz Oleg has been pushed back several times. Knyaz Oleg is the fifth Borey SSBN overall, and the second Borey-A boat. Like the first three Borey ballistic missile submarines, the Borey-A is expected to carry 16 Bulava SLBMs. First-of-class Yuriy Dolgorukiy is assigned to the Northern Fleet. Aleksandr Nevskiy and Vladimir Monomakh are part of the Pacific Fleet. Like Knyaz Oleg, unit four — Knyaz Vladimir — the first Borey-A is also destined to reinforce the Russian Pacific Fleet’s strategic nuclear force. 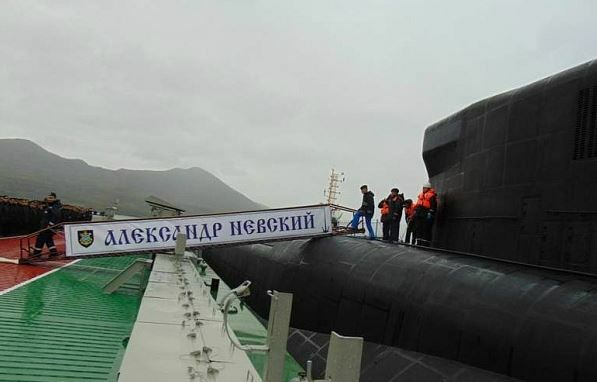 Rakhmanov’s public cry for more money is somewhat unusual and harks back to 2011 when OSK railed at the MOD for adequate financing to produce modern nuclear submarines. Russia planned to have eight Borey boats in its order-of-battle by 2020. 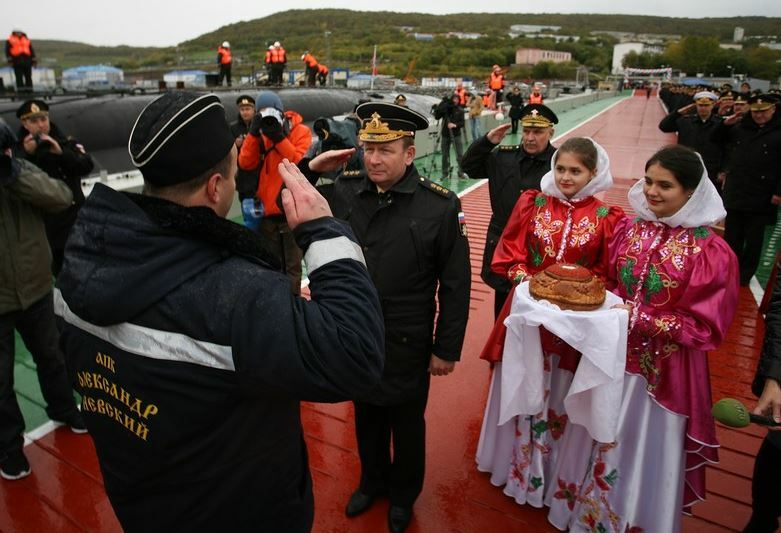 But with Sevmash taking six, seven, or eight years to lay down, launch, and commission them, Knyaz Oleg might be the last to reach the navy this decade. And Rakhmanov pretty clearly linked money to sticking to his SSBN production schedule.